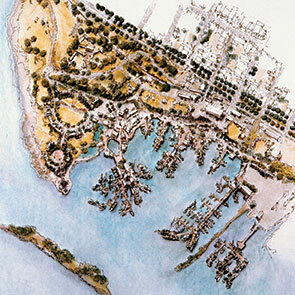 The Sewells Landing site lies in the uppermost North-Westerly corner of the Horseshoe Bay basin. 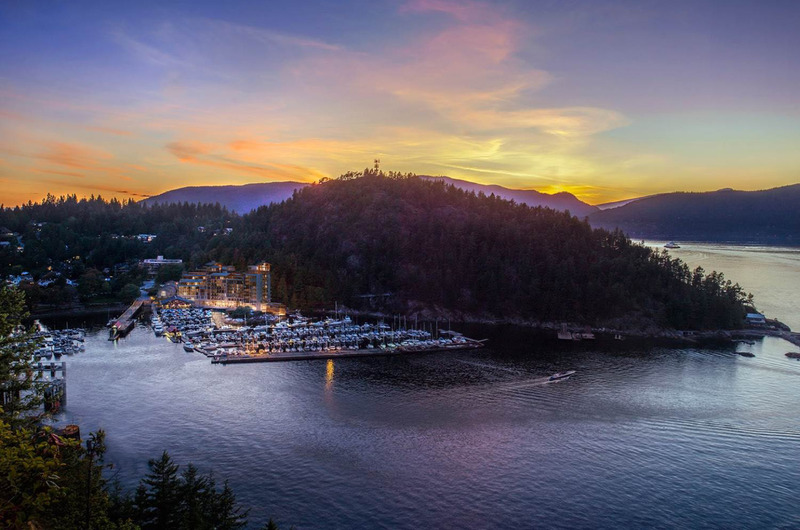 It has the interesting characteristics of good access to light and South facing sun, while at the same time enjoying glorious views up Howe sound to the North. 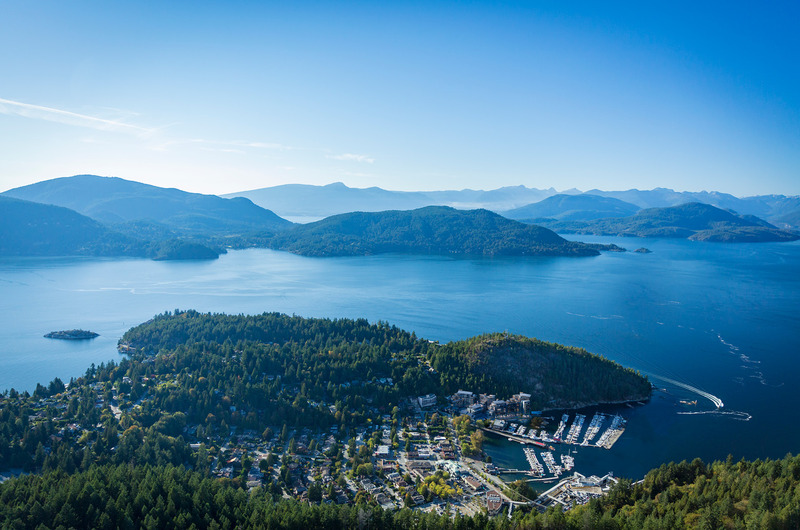 The new project will extend the fabric of the Horseshoe Bay community, supporting approximately 160 new households, and extend the public foreshore by 400’. The concept is seen generally as an extension of the village. 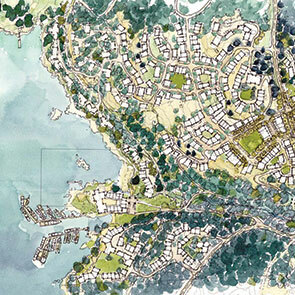 Design inspiration comes from its westcoast marine setting, influenced by architects Erickson, Thom, Hollingsworth and Pratt and is built around themes concerning locality, community, waterfront, continuity, and west coast location. It is seen as not a single large edifice, but a congregation of smaller building elements. 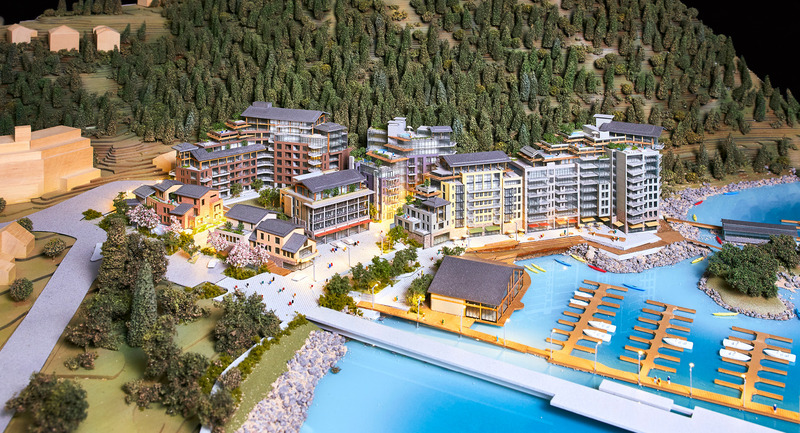 Beginning on the Nelson Street frontage the project’s townhouses have a scale consistent with the very fine texture of the street as it climbs up the western edge of the Horseshoe Bay basin. 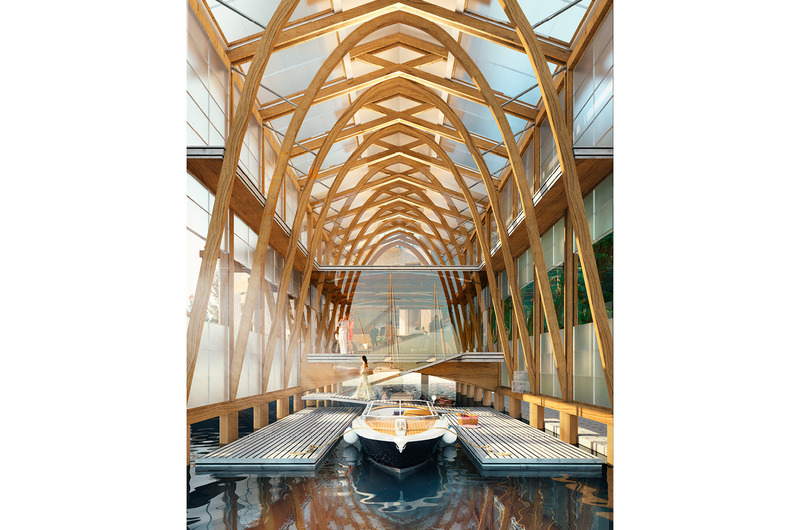 The water’s edge quay will be reinforced as a publically-accessible thoroughfare accessing dockside services, a new public bridge to the foreshore island, and a spectacular resident’s amenity space at the north end. Adjacent to this, a second point of entrance occurs (essentially where the previous parking entrance was) – providing access to a village-scaled public piazza. 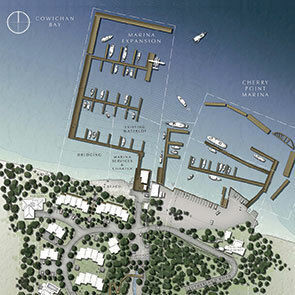 The piazza is a place to gather and enjoy the harbour outlook, edged by commercial services. 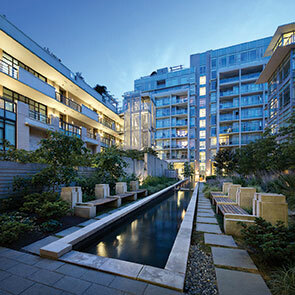 It incorporates some short term parking, and accesses both the second level of underground parking, a laneway connection to the residences on the waterfront, and Madrona Ridge beyond. Virtually all of the residences in this proposal are double sided ‘through-units’. 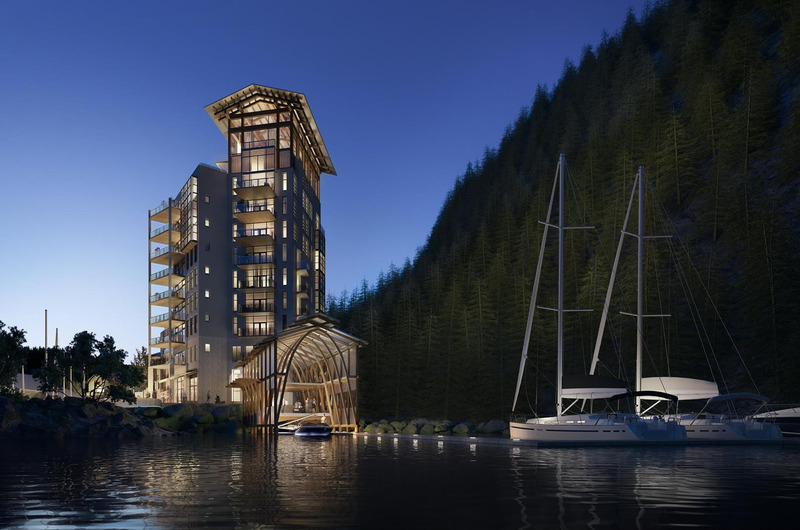 They gain light on both sides, offer natural cross ventilation, and feature waterfront views on one side and mountain forest or park views on another. Suites are accessed by either a stair or elevator, or by external walkways from a common elevator. Building elements terminate vertically in either flat roof landscaped outdoor terraces, or in some cases, low pitched sloping roofs. These roofs reference the predominately pitched roof dwellings that comprise the rest of Horseshoe Bay. Landscape and groundscape will be treated similar to a European village, with cobbled or textured stone in the piazza, stone paving in larger pieces on the pathways, a grassed common in the upper quadrangle, and selected specimen trees edging or as a focus in the urban spaces. The waterfront quay will be surfaced in stone pavers, and the small island will be left natural, with a small viewing terrace only.